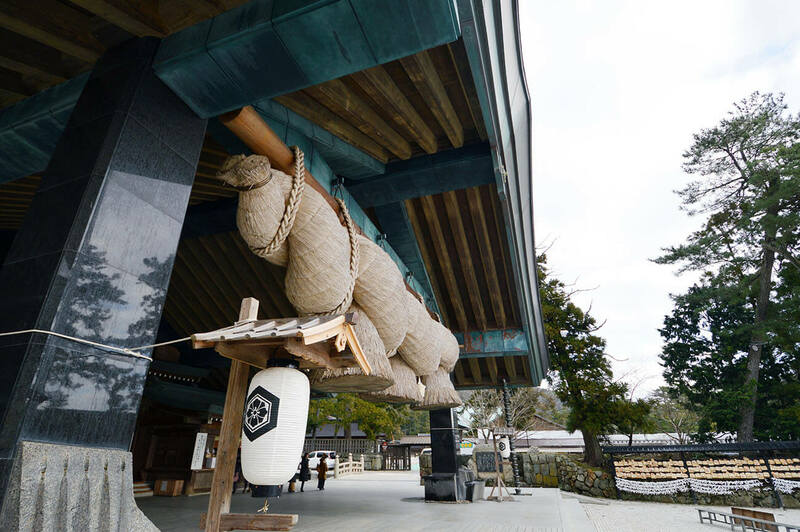 Izumo is known as the Kingdom of Gods and the Izumo-Taisha Grand Shrine is its symbol. The land of the Gods with Mt. 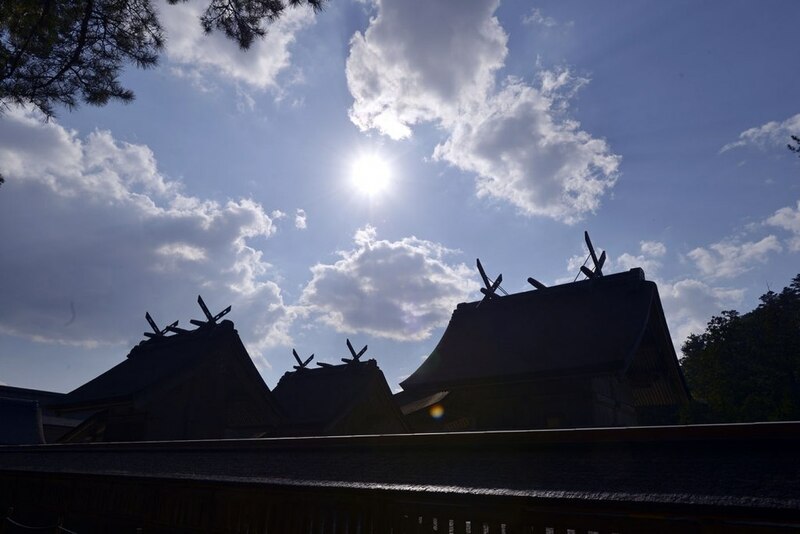 Yakumo as its backdrop boasts a history of thousands of years and stands solemnly in all its majesty. This place layered with overlapping clouds carries an aura of deep solemnity. Looking at the thousands of trees that reach up into the blue sky dotted with clouds, it is not difficult to imagine that the world of the divine and the magnificent did exist here once. The Izumo-Taisha Grand Shrine has attracted a great deal of attention in recent years as a spot with healing powers. We encourage you to come here to feel and experience it. 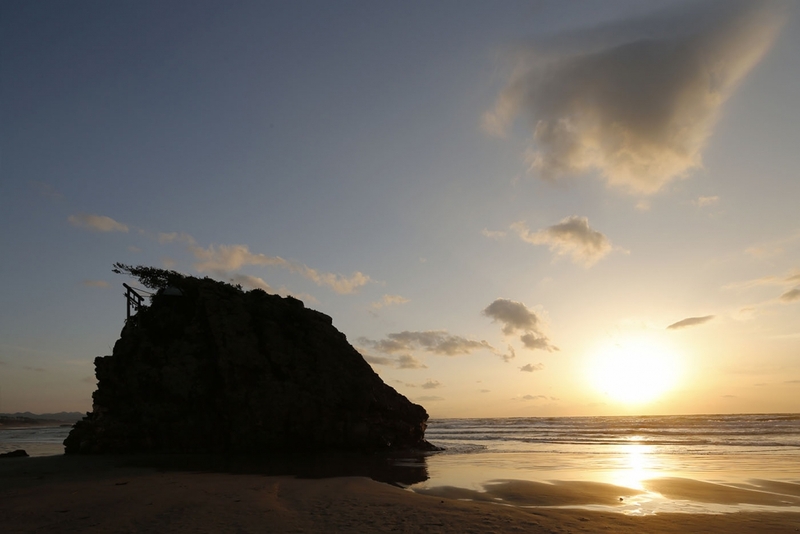 This beach, just 1 km west of the Izumo-Taisha Grand Shrine, is famous as the setting for the Kuni Yuzuri, a prehistorical myth of the transfer of the land that is Japan. At the back of the beach is a Byoubu Iwa or Screen Rock (with a carving on a rock like a folding screen) where the Gods Okuninushi and Takemikazuchi negotiated land rights. To the south lies the Nagahama Coast, which is said to have been the rope that connected the islands. This beach is also known for welcoming 8 million Gods from all over Japan in the month of October of the lunar calendar. October is called Kannazuki in other locations across Japan as the Gods are not believed to be present there, whereas in Izumo, October is called Kamiarizuki as the Gods are believed to all be present here during that month. The salt taken from the beach is considered to be very auspicious. In summer, visitors can enjoy swimming at Inasa Beach. 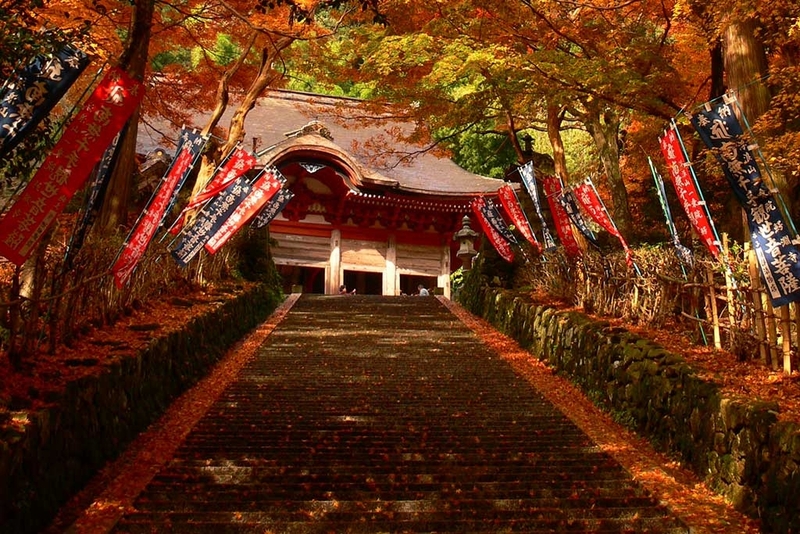 The Hinomisaki Shrine is a very old shrine located at the western end of the Shimane Peninsula. It has also appeared as Misaki Shrine in the Izumo no Kuni Fudoki (old records about the Izumo Province). The shrine is divided into two parts– the upper shrine called Kami-no-miya and the lower shrine called Hishizumi-no-miya or Sunset Shrine. These two shrines together form the main shrine. The shrine is highly prestigious and is dedicated to the founding Gods of Japan Susanoo-no-Mikoto and Amaterasu-Omikami. It is visited by people from all over the country and is also famous for its spiritual healing power. 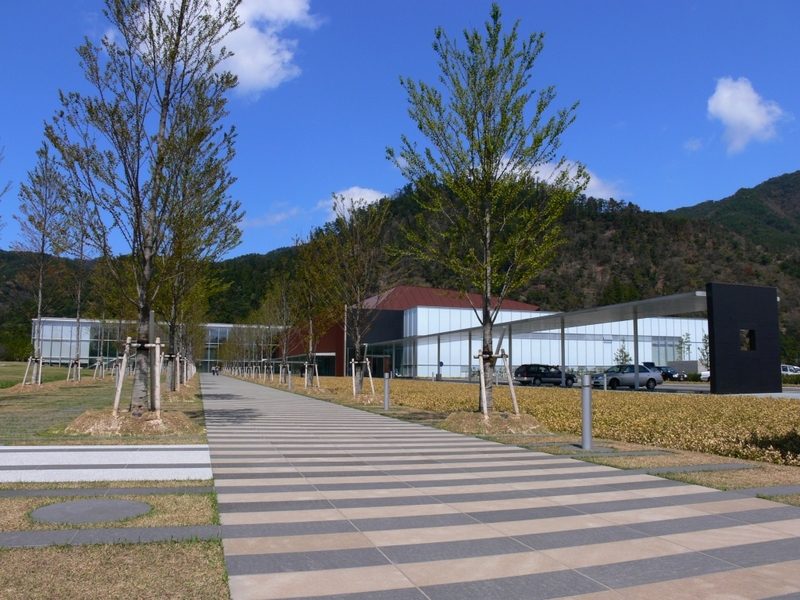 This museum is located to the east of the Izumo-Taisha Grand Shrine. 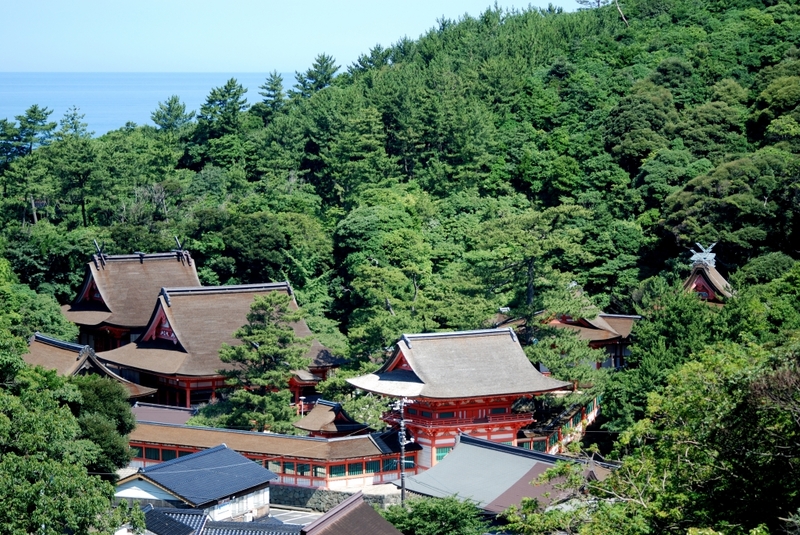 Here you can learn more about the history of Izumo. 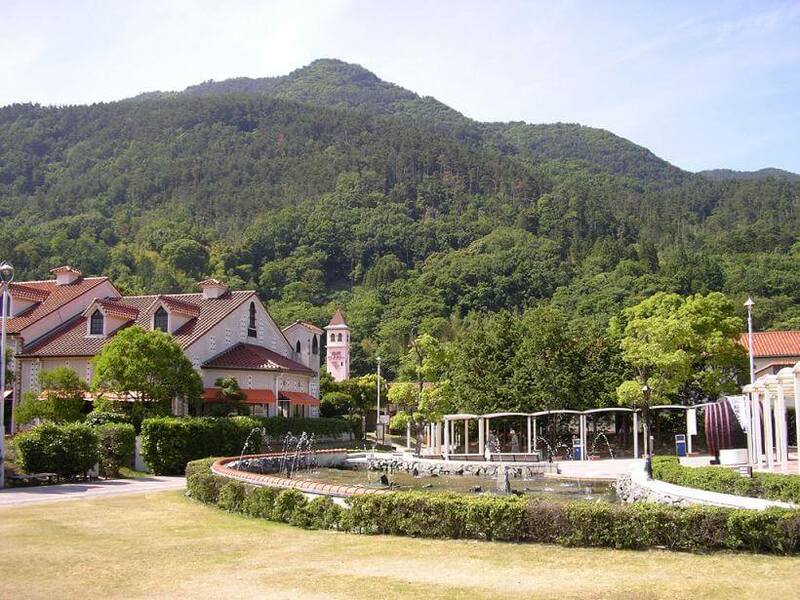 Apart from exhibits related to the Izumo-Taisha Grand Shrine, the museum also introduces the history and culture of Shimane through artifacts from the Iwami Silver Mine, Tatara iron-making, bronzeware, and the Fudoki mythology. The Myth Theater features a video that helps visitors better comprehend the Kojiki (records of ancient matters) and Izumo-no-Kuni Fudoki. The garden that winds throughout the site is called the Fudoki Garden and is meant to be an image of the Izumo Shrine in the era when the shrine was 48 meters tall. Apart from the exhibit room and the museum shop on the first floor, there is a café on the 2nd floor (with 40 seats) and a viewing terrace on the 3rd floor suitable for a break during sightseeing. This is a large theme park for local wine along National Highway 431 east of the Izumo-Taisha Grand Shrine. It takes approximately 5 minutes to reach by car. This area is also known for producing Japan’s finest house grapes. The grape varietal known as the Delaware is shipped from here nationwide particularly in the months of April~June. These Delaware grapes of Taisha are fragrant and juicy with high sugar content and a high market value. Shimane Winery was built in March 1984 to showcase the high quality of these grapes. The winery is built in a Southern European-style framed by verdant green mountains. In addition to wine, visitors can also enjoy the local beef, Shimane Wagyu, and a variety of other gourmet sweets. It is a popular spot attracting more than 1 million people each year. Susa Shrine, also appearing in the Izumo-no-Kuni Fudoki, lies on the banks of the Susa River, a tributary of the Kando River that flows from the north to the south in Shimane Prefecture. This shrine is closely connected to Susanoo-no-Mikoto, the Hero God in Japanese mythology who slayed the dragon Yamata-no-Orochi. Susanoo-no-Mikoto came to Susa, according to the Izumo-no-Kuni Fudoki, to settle saying “The country is a small, yet a fine one”. It is said that Susanoo-no-Mikoto laid his soul to rest after taking the name “Susa” believing that his name should be that of the land. There are many shrines all over Japan dedicated for Susanoo-no-Mikoto, however this is the only shrine that enshrines his soul. The shrine commemorates the 4 deities who annihilated the dragon. The other deities were Inata-Hime-no-Mikoto, Ashinazuchi-no- Mikoto and Tenazuchi-no-Mikoto. The shrine is believed to bless worshippers with a good spouse, offspring, a safe home and also help heal various disabilities. It is an ancient shrine which existed from the time of the Fudoki and Engishiki (Japanese book about law and customs). Its large main hall was built in 1861 and designated as a cultural property of the prefecture. Although it is a small shrine in the hilly countryside, it is filled with mysterious powers. Television and magazine coverage introducing Susa Shrine as a powerful spiritual place draws visitors from throughout Japan. The station building was developed in 1912. Wooden station buildings are very rare in Japan and this building features the traditional Japanese-style design with white-plastered walls and black roof tiles. At the entrance and inside there are approximately 30 lantern-shaped Japanese chandeliers. The symmetric shrine-like construction reflects the Izumo-Taisha Grand Shrine. 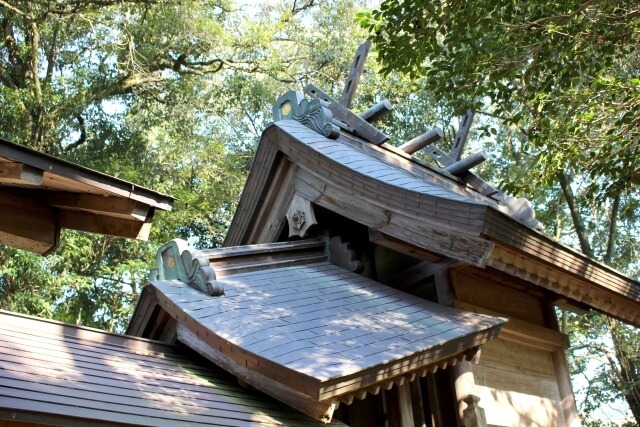 Visitors can also discover playful elements throughout the building such as the Onigawara (decorative ridge-end tile) with its train wheel mark and the turtle tiles of different shapes at the tip of the roof’s descending ridge. When the Taisha rail line closed in 1990, the station building ceased to function as a working train station. However, visitors can still experience its exquisite beauty and presence. 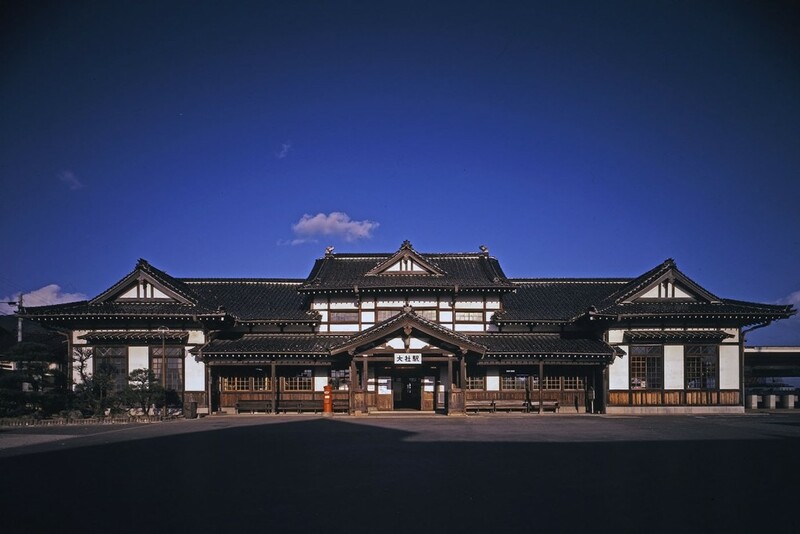 This elegant station building has been selected as one of Japan’s top 200 architectural sites. It was also designated as an important cultural treasure in 2004 and modern industrial treasure in 2009. The station is a short walk from Takenoya. It is said that this shrine was erected in the second year of the Suiko Era (year 594) to commemorate when the Holy Priest Chishun prayed to the waterfall of this land to cure Emperor Suiko‘s eye illness and his prayer was answered. The origin of the temple name comes from the time when the Holy Priest Chishun, performing his ascetic practice near the waterfall, dropped his basin accidentally. A crocodile, or wani in Japanese, caught the basin in its jaw. Nationally popular Musashibo Benkei of the Shugendo Sect which flourished from the late Heian era to the Muromachi era is also known to have left behind many legendary tales of Gakuenji Temple. The Autumn foliage is a must see for its outstanding color in the mountains.